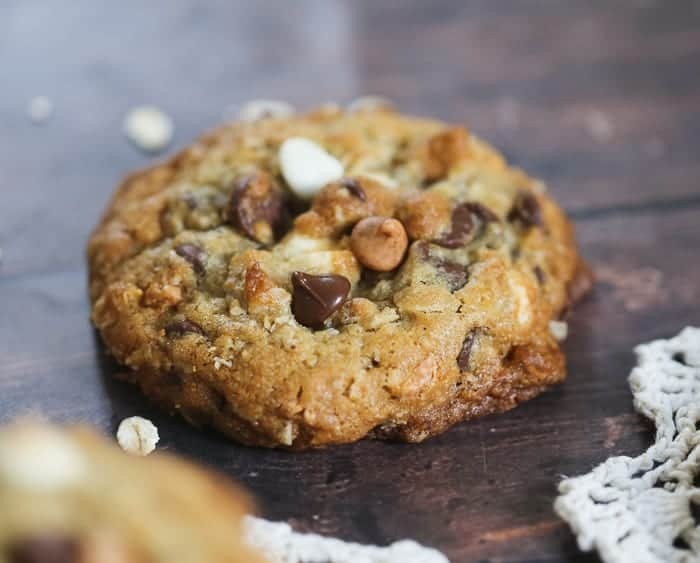 Ultimate Hazelnut Truffle Butterscotch Oatmeal Cookies are a thing. 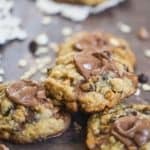 These indulgent cookies came to mind when I was baking up these Ultimate Oatmeal Chocolate Chip Cookies. 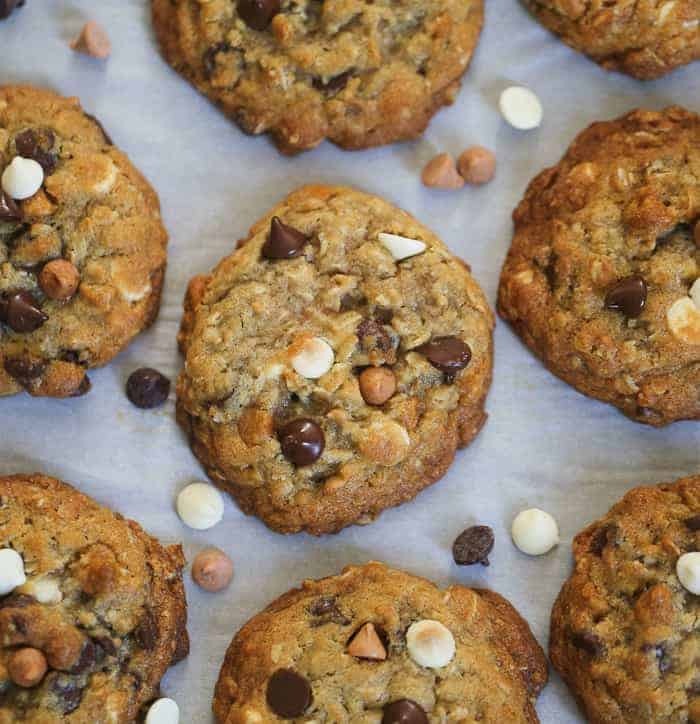 I couldn’t resist changing them up with some butterscotch chips, hazelnut truffles and white chocolate and dark chocolate chips. 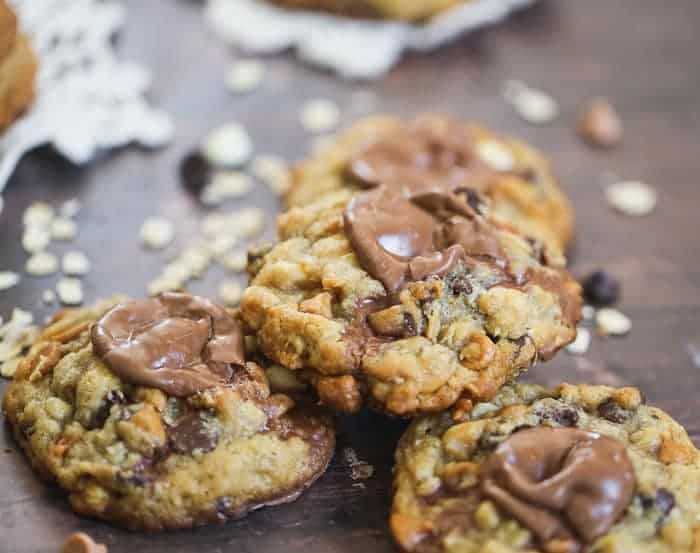 These are a wonderful combination of sweet, buttery, chewy butterscotch, white chocolate and semi-sweet chocolate chip oatmeal cookies topped with a heaping melted hazelnut truffle on top, kind of like the star on top of the Christmas tree. I think I just fell in love again. Taking old-fashioned desserts, like oatmeal cookies and giving them a modern holiday-ish spin is fun to do. What could be more holiday-ish than truffles and cookies? 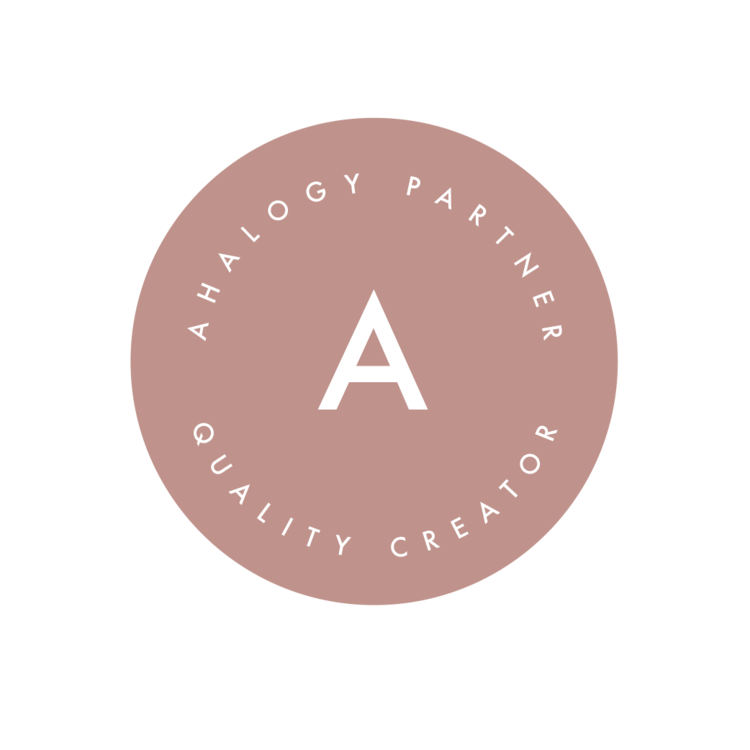 The list could go on…I hope I’m not boring you with my add-in addiction ideas. 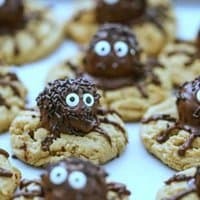 It isn’t imperative you absolutely have to the truffles or you can’t make these cookies because you don’t have truffles in the house. They are just as delicious without the truffles. 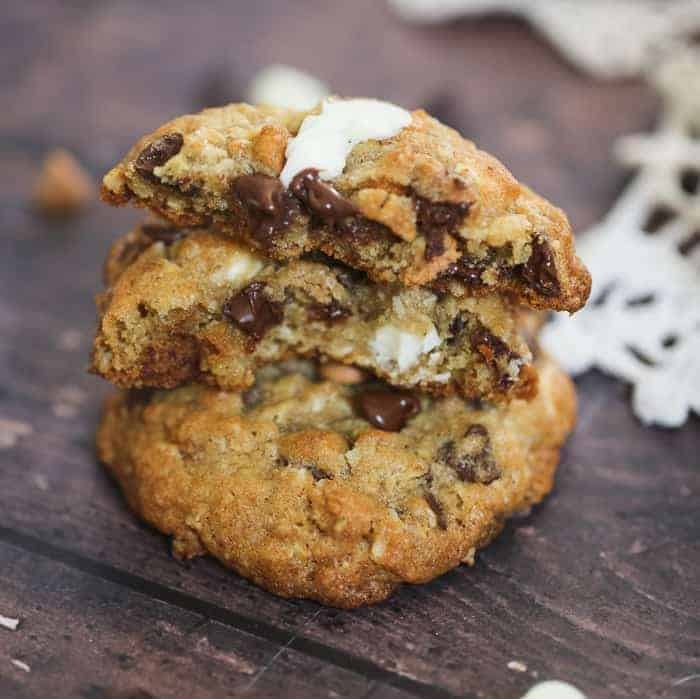 Get creative and change it up for every holiday, because these cookies are are pretty big deal. 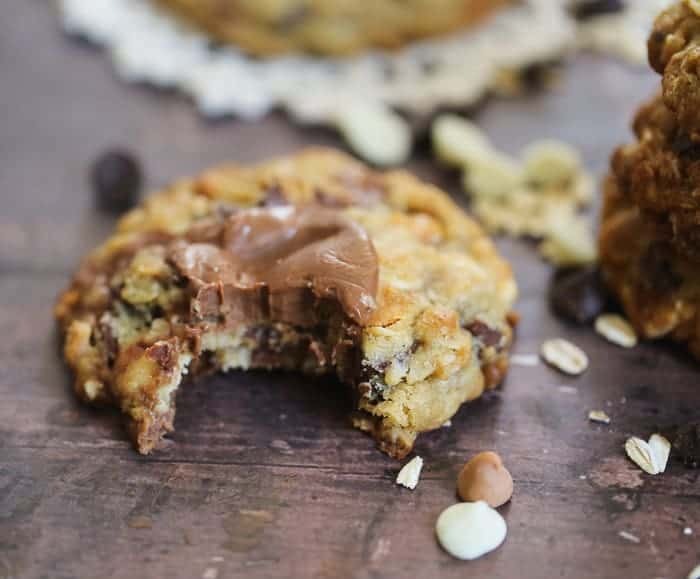 They are 1/4 cup cookies, not 1 heaping tablespoon cookies, although it’s up to you how big or small you want to make them and remember to reduce your baking time if you make them smaller and keep the truffle size in mind. 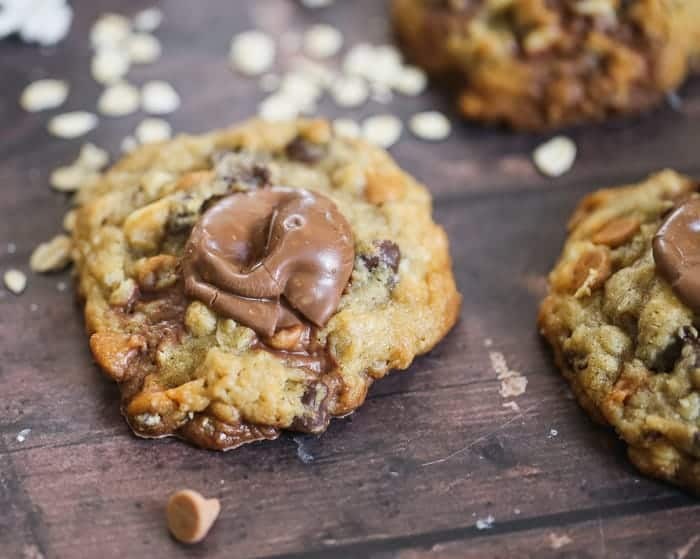 For more indulgences, you’ll probably drool over these Turtle Caramel Truffle Brownies, these Addictive Pecan Pie Bars and these Devilish Fudgy Double Chocolate Orange Cookies. 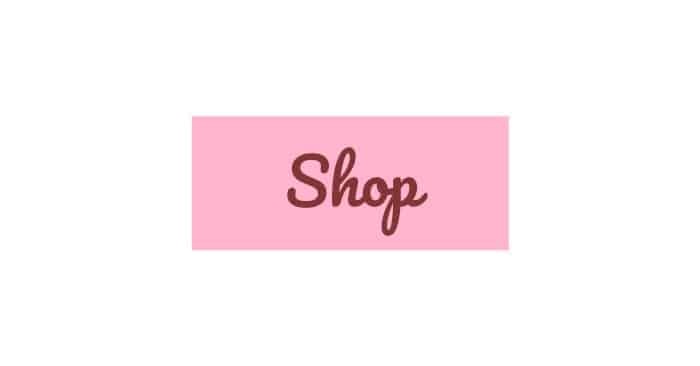 All super yummy for the holidays too! 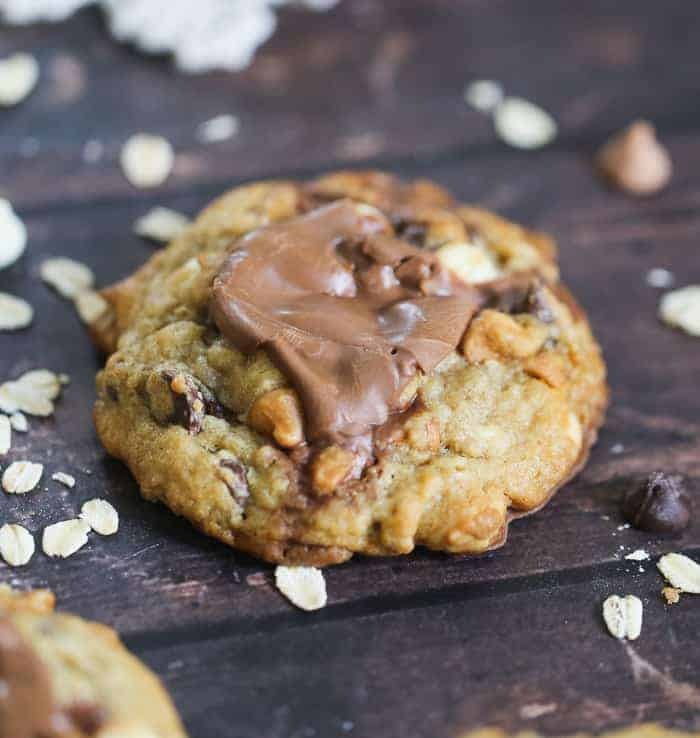 These are a wonderful combination of sweet, buttery, chewy butterscotch, white chocolate and semi-sweet chocolate chip oatmeal cookies topped with a heaping melted hazelnut truffle on top. Pure indulgence! Preheat oven to 375 degrees. Prepare 2 baking sheets lining with parchment paper. 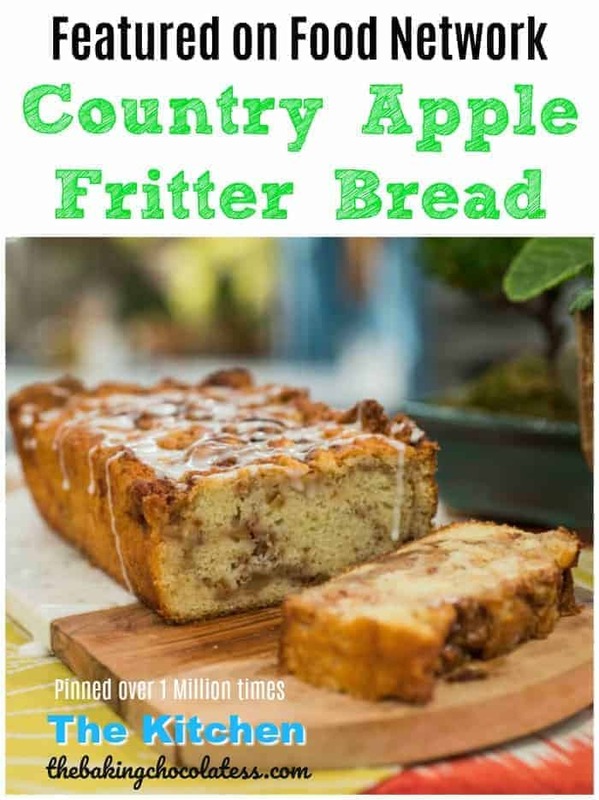 In a large bowl, cream together cold butter and sugars until light and fluffy, about 3 minutes. Add eggs one at a time, mixing well after each addition and then mix in your vanilla. Add flour, oats, cornstarch, baking soda, salt and stir until combined. Stir in chips. Scoop dough out using 1/4 cup using a cookie scoop and place 6 on a baking tray. Bake for 9-11 minutes or until golden brown on the top. 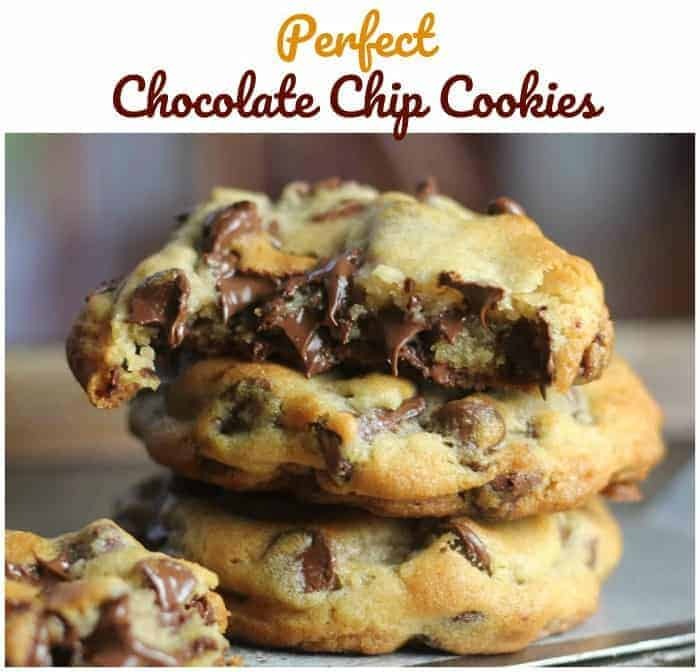 Take baking sheet of cookies out of oven and and place chocolate on top by placing in oven for 15-45 seconds or however long it takes to get the chocolate to start melting, then take out of oven. 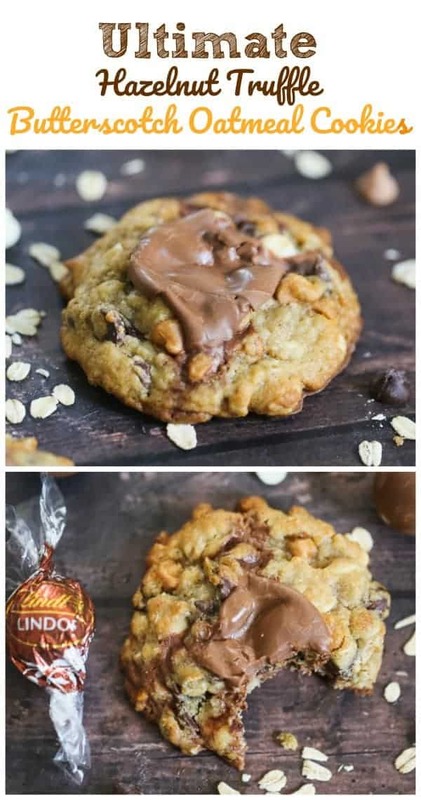 It's ok if the chocolate melts down the cookie a bit. I got some that had chocolate on the bottom, YUM! 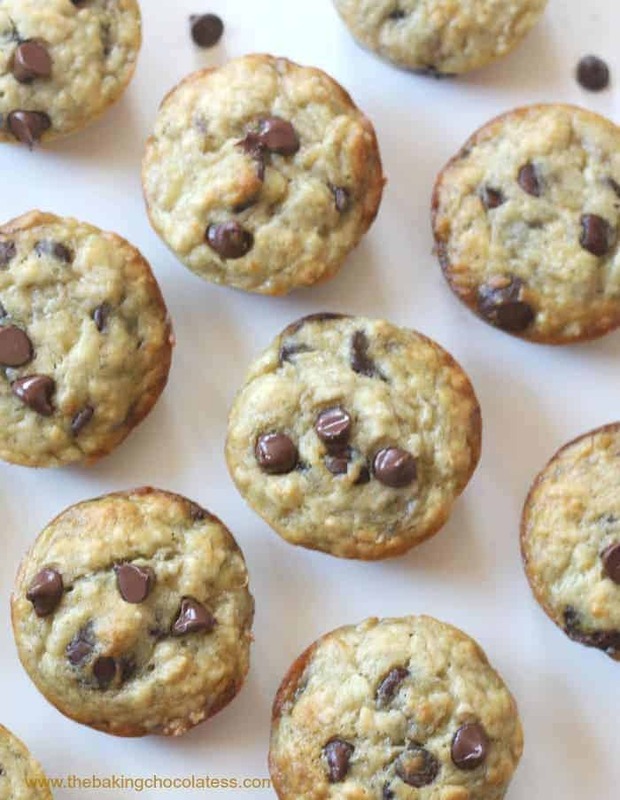 Let them rest for at least 10-minutes to set before transferring to a baking wire rack. It’s totally hard to turn down! 🙂 Thanks so much Kelsie!! Kim, these look like total heaven! I love the idea of the truffle on top! And all those yummy chips! So so yummy! And hey, it’s the Holidays, we need to be a bit extra! These are the perfect Christmas cookies!!! 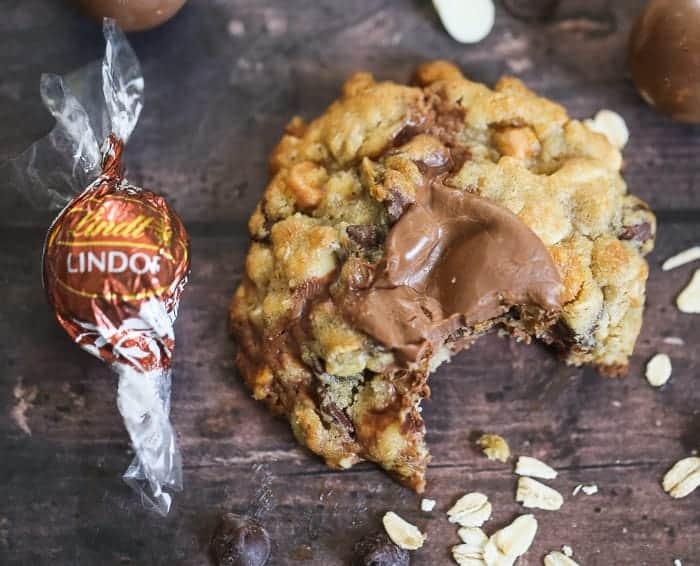 I soooo need to try those Lindt Nutella truffles!!! OMG! Those truffles are to die for! 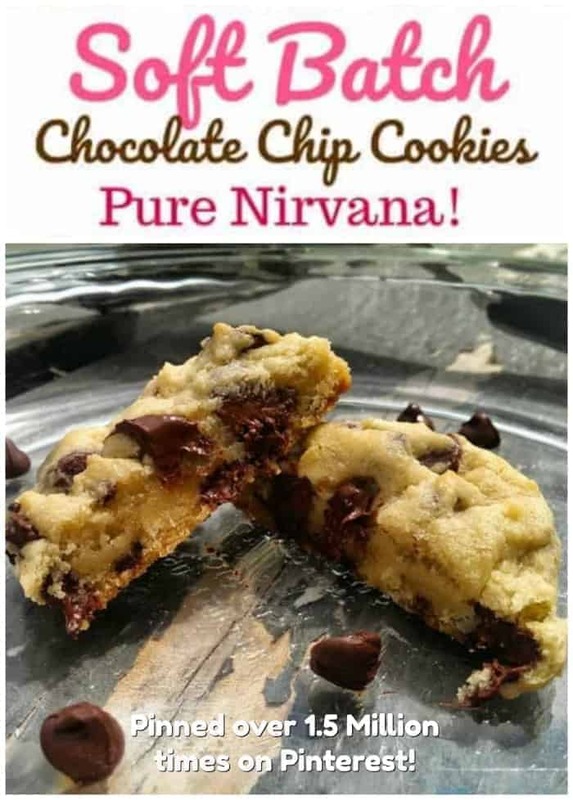 Thanks so much Kelly, I think these are perfect for a cookie exchange or people you love! OH my gosh Kim!!! 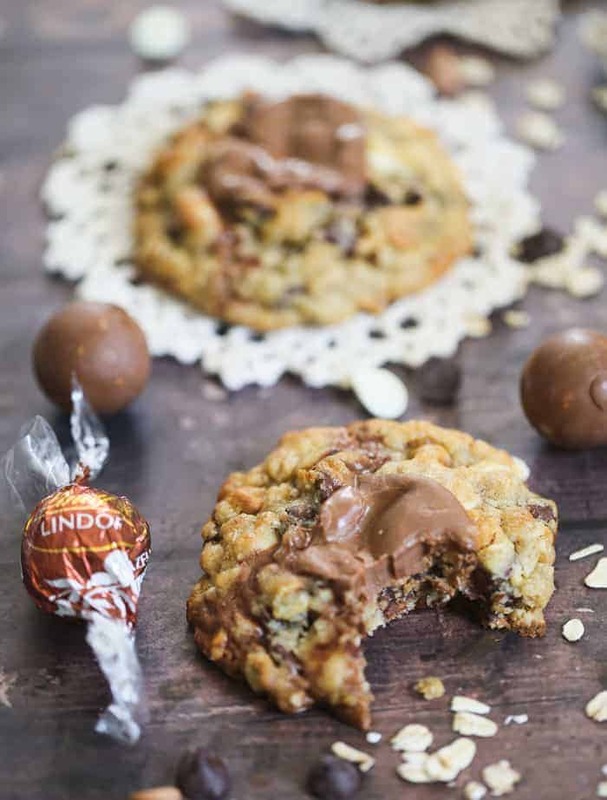 We always have bags of Lindt truffles in our pantry. My husband usually finishes most of it before the kids! I have never seen these Nutella truffles though. Got to find these!!! So, you know how much I love these cookies. Can’t beat all those flavors…. so much YUM!